While the original Microsoft Band fared well in terms of functionality, it’s safe to say that its design, which sported a rigidly flat display, left a lot to be desired. Thankfully, it appears that the device’s style shortcomings could soon be rectified in its second generation if the renders leaked by Spanish site Microsoft Insider are to be believed. 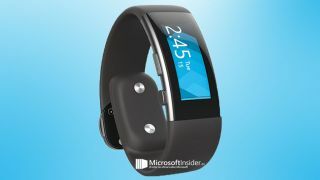 The images show a completely redesigned device with a curved display and metallic touches around its face, including physical buttons that will likely make the second Microsoft Band easier to navigate. The Band will reportedly exhibit some new features, including the ability to track inclines in a user’s steps, leading to much more accurate fitness statistics. Little else is known about the Microsoft Band 2 though we expect that more will be revealed at Microsoft’s upcoming Windows 10 event on October 6, in which a range of new devices will be unveiled.